Sup guys! We are now well into spring aren't we? The trees and flowers are blooming, the grass is a vibrant green, beautiful blue skies. Perfect time to spend some time outdoors with the No. 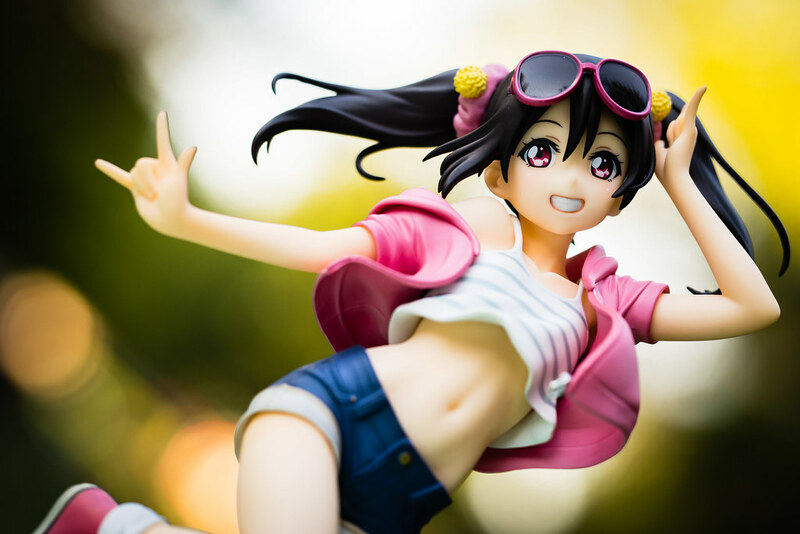 1 Idol in the Universe with the aptly themed Yazawa Nico Picnic Girl version from Good Smile Company. Nico-Nico-Ni! Nico-Nico-Ni your heart! 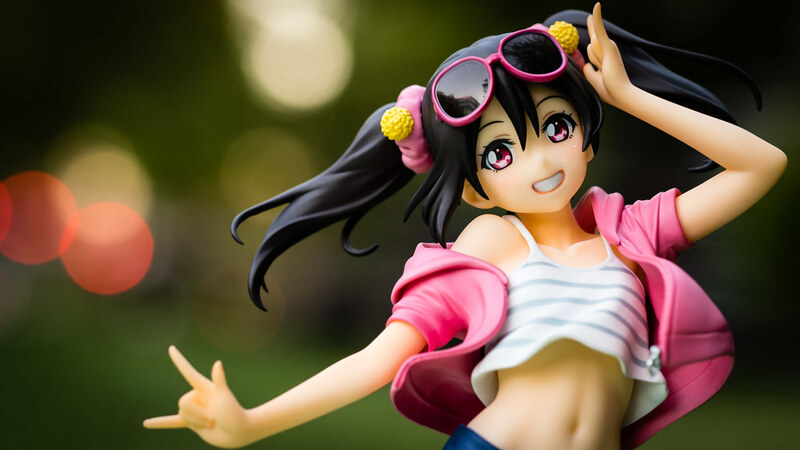 Yazawa Nico will put a smile on your face! Uwaahh.... no matter how many times I read or hear that phrase I still find it kinda gross. It's okay if you are gross every now and then Nico, I still like you! 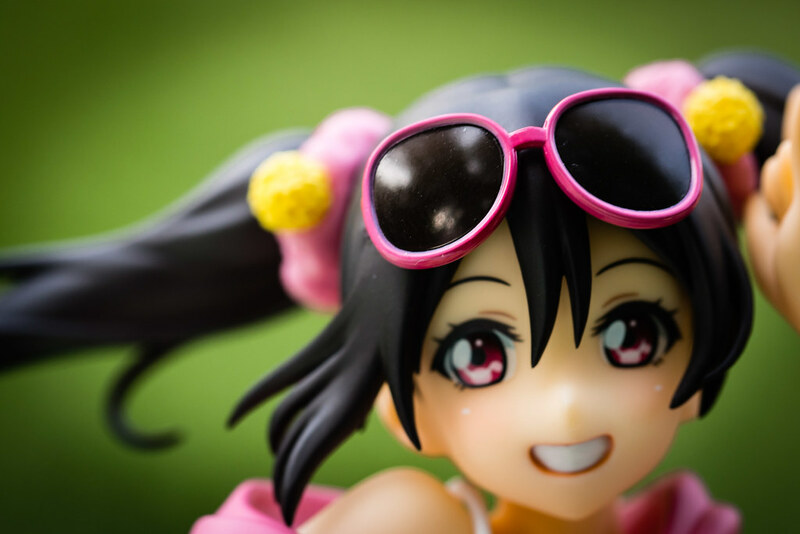 Nico's grossness aside, it's been some time since I gotten a Love Live scaled figure. I've been trying to hold back a bit and painfully skipped on Alter's Eli and their upcoming Nozomi, doubly hard after having a first hand experience on how nice Alter Love Live figures are with their very lovely Maki. Maki was so nice in fact that she singlehandedly got me back into taking photos and a writing posts again. After Maki I was looking forward to seeing the other girls. I was quite pleased with Eli and that figure showing all her nice charms. Nozomi in her stage outfit just looks dazzling. 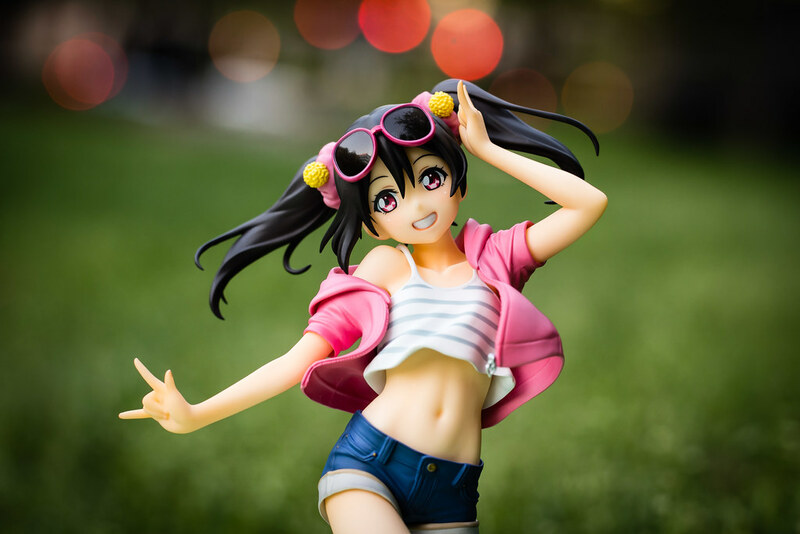 I was a looking forward to Nico only to be tad disappointed, while I think the figure itself is amazing I not a big fan of her Christmas looking outfit. Quite luckily for my wallet I was able to pass on up on Alter's renditions. However, then came Good Smile Company prancing along with their energetic rendition of Nico, I couldn't say no this time and thus I bled more money for the sake of idols. Nico came at a great time to cheer me up though. After all, only a month ago u's split up after the conclusion of the Last Live. An event I sadly couldn't attend even though I had a lottery ticket from the movie. Heck, who am I kidding knowing my luck with Japanese lotteries I wouldn't have won anyways. Alas, I will need to wait for the eventual blu rays of the event to enjoy it. The thought that I won't be able enjoy the antics of u's both in anime and real life saddens me bit. It all feels a bit foreign for me, the idea that u's would disband with the different actresses moving on. While I understand that they probably don't want to be known only for their work with the Love Live franchise why not do both? When I compare them to Idolm@ster which has been going strong for more than a decade now all the different members of the various groups seems to be doing fine with their individual works coming together for new Im@s media and live performances. I probably shouldn't mind too much, after all I'm sure they will probably make cameos on Love Live! Sunshine!! whenever that airs. Plus they gotta do a reunion tour at some point right? Surely they won't pass up on a collaboration show with Aquors either! 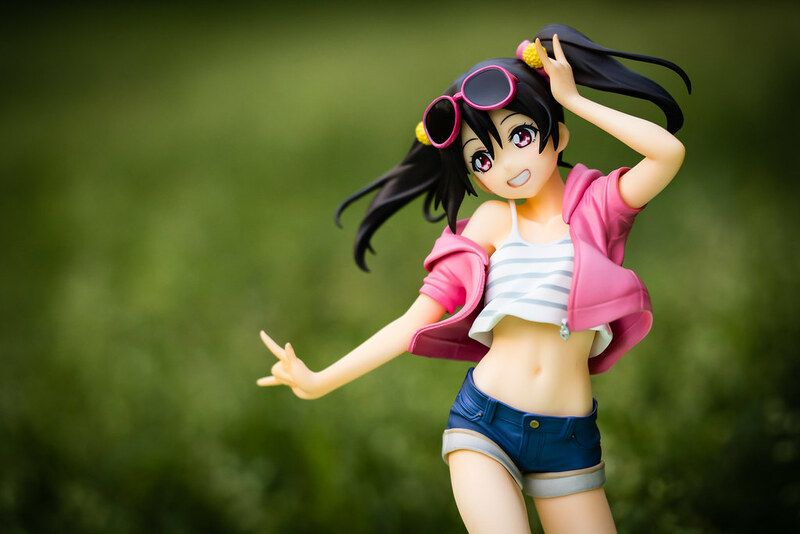 Until such things occur I will continue my enjoyment through the world of figures such as this very lovely Nico. Good Smile Company sure has delivered on that front with their very much bouncy and bubbly version. It's ok, that's one of her charming points! Nico's slim petite charm get's shown up quite nicely with her legs! I mean she is nowhere near Eli's shapely long legs but not bad at all in my opinion. 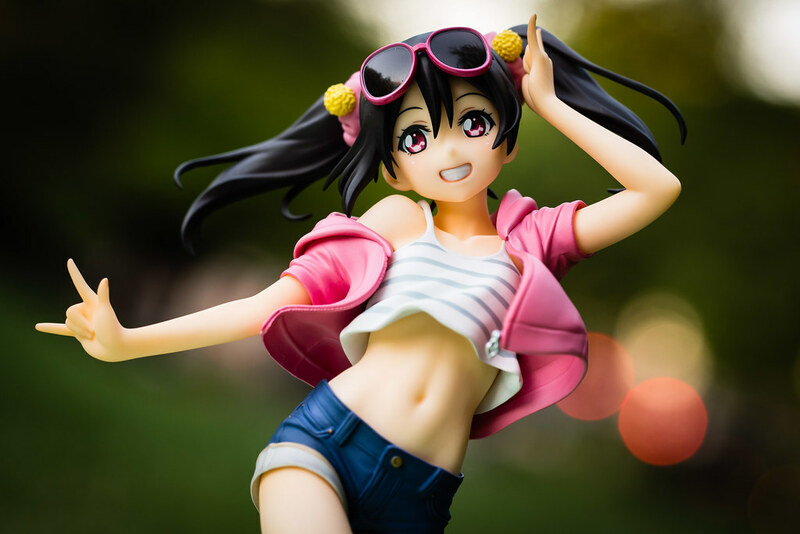 Good Smile Company really did pull some magic to make Nico's legs look so long and pretty. However, that doesn't compare to how delicious her tushie looks. Just the way Nico is pushing out her hips makes is very alluring doesn't it? Although this Picnic Girl version is a simple figure Good Smile Company did not skimp on the craftsmanship. Details such as Nico's sunglasses are well done, the glossy texture allows them to reflect the surroundings definitely giving it that realistic look and feel. 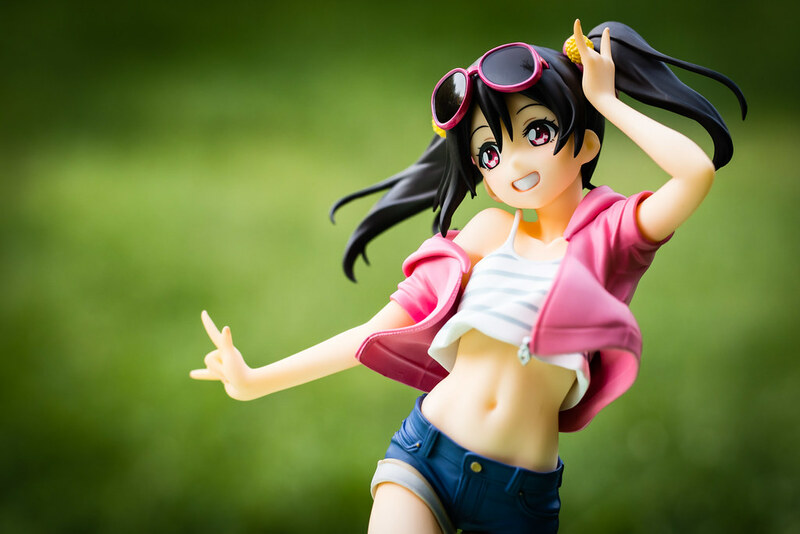 Although even that doesn't compare to Nico's tummy that looks as flat and smooth as her chest. Once again looking at such a charming navel makes me wanna play with it just like in that one show with a stony cat. My favorite aspect of the figure is her pose. 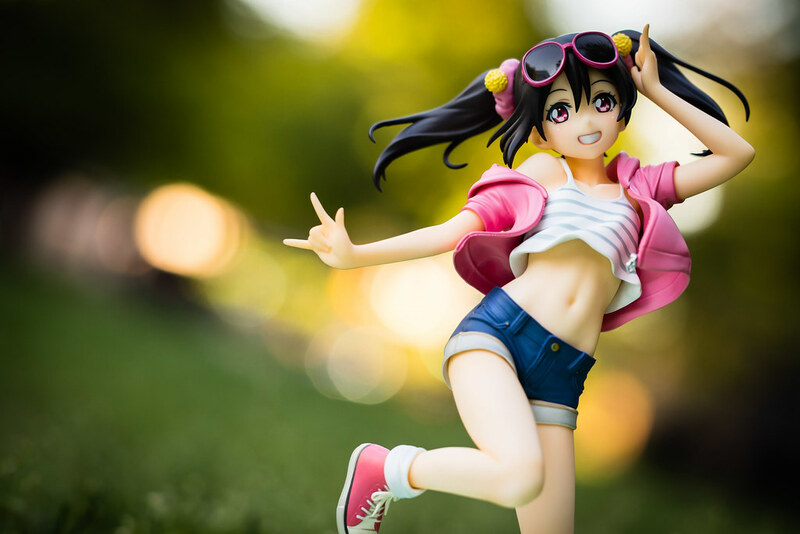 Just by looking at the figure I hear Nico's voice in my head and hear her well known catch phrase and feel my heart warm up... and then kinda feel grossed out like usual. The amount of energy captured in this pose is just amazing. The flow of the twintails and the individual strands, the way her jacket and blouse flutter in the wind all done with exquisite attention to detail adding to that illusion of movement. 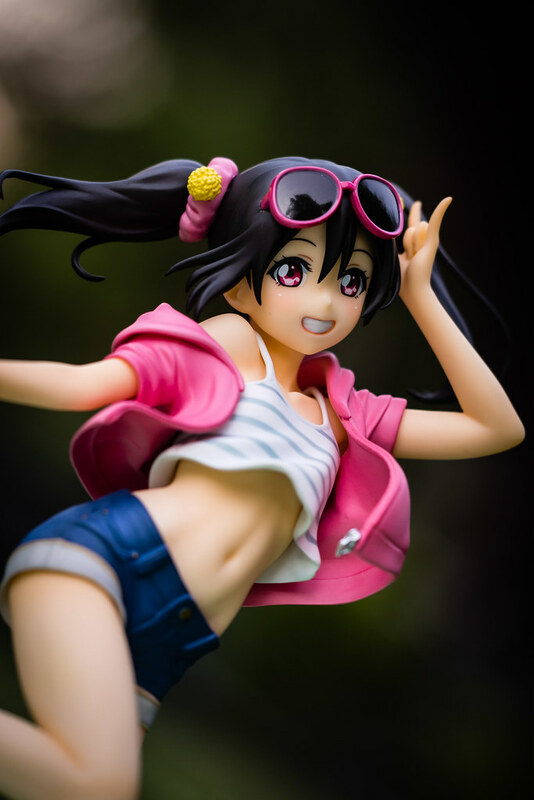 I'm really liking the work Good Smile Company has done with Nico, I have no complains about the figure itself. The sculpting, the paint work, the likeness, everything just perfect. The one very slight negative comment I have would be her base that has Nico's name written on it. It comes in a font color lacking any contrast against the background and makes it nearly impossible to see properly much less photograph it. I sure hope to see the other girls get this treatment as well, after all Nico was not the only girl fans would love to go on a picnic with. 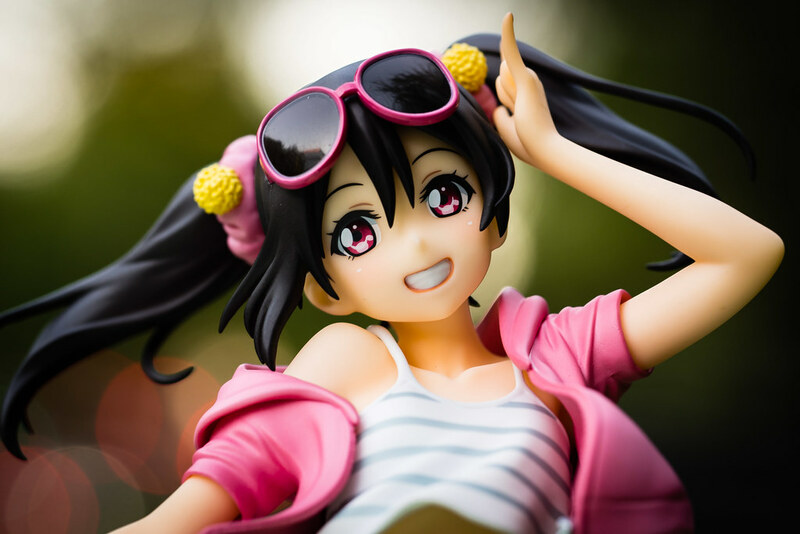 More figures to show everyone's favorite idol and more of her Nico-nii~ Nico Nico Smile would also be very welcomed by me! In fact, I already got the Birthday version on order and can't wait to receive it. Alas, if only I was made of money I would have ordered the whole set along with Nico! While this release has horrible timing for me I also got my eyes on Freeing's version, surely the typical delays can make things work out right? I might be sad about the girls parting but it sure looks like figures are gonna fill that void. I hope these photos have sent a Nico Nico Smile to everyone's hearts as they sure have done with me while I took them.